Too many of us hide our yards and balconies behind boring solid doors that close us off from the outside world. Instead of playing it safe, why not install patio doors? They pack a visual punch and really brighten up the interior of your home. If you don’t have a clear vision of what you want, an exciting patio door project can go south quickly. You’ll want to keep the following things in mind as you shop around. Design is integral to making sure your patio door creates a seamless flow between your indoor and outdoor spaces and enhances your home’s architectural style. There are many different options out there. Sliding doors slide open on a track. They’re perfect for smaller spaces because they don’t swing open into your furniture. French doors have two panels that both swing open to reveal your gorgeous backyard view. Unlike sliding doors, French doors create a larger opening and allow unhindered movement. Center-hinged doors have the sophisticated look of French doors, but only one panel opens. They work well in smaller spaces where French doors would hit furniture or close off the space. Bi-parting sliding doors create a long span of window space. They work similarly to retail store doors, with two door panels in the middle that slide apart, creating an opening. Additional windows flank both sides. Folding doors are a luxurious option for those who enjoy entertaining and have plenty of wall space. Multiple door panels slide and sandwich against each other like an accordion, allowing you to create an indoor-outdoor room. The material you choose for your patio door can either add to or detract from the beauty of your home. You want to consider the durability of the material you choose, its ability to withstand the elements of your local climate and its resistance to moisture. Wood is a timeless material that can evoke ruggedness or elegance depending upon the grain, stain and finish. While gorgeous, it is susceptible to warping and degradation with temperature fluctuation and exposure to moisture. It also needs to be refinished frequently to combat sun damage. Fiberglass is an energy-efficient material that can be painted and textured to convincingly mimic wood. While it is one of the more expensive materials, it outperforms vinyl in nearly every area, including appearance, longevity, energy efficiency, strength and ability to withstand the elements. Vinyl is a more affordable alternative to fiberglass and has some overlapping benefits, including low maintenance requirements and customizability. However, it is much easier to tell vinyl apart from wood than fiberglass. It is also more prone to warping and offers poorer insulation. Steel is a unique choice that can give your door a sleek, modern look. Though steel is durable and provides stellar insulation, it can corrode and rust if the paint comes off. Some homeowners may find the temperature of the metal door uncomfortable in particularly cold or warm climates. Aluminum is a more affordable metal material than steel. However, it is also lighter, less energy-efficient and more prone to staining, scratching and denting. Window grids, also called grilles, can be inserted between panes or attached to the glass to add some artistic flair to your door. A well-chosen grid can complement the style of your home. Colonial grids are a classic choice and divvy the glass up into smaller squares. Diamond grids hark back to European design and can give your room a quaint, fairytale feel. Prairie grids act like picture frames, running along the perimeter of the glass and crisscrossing in the corners. There are countless grid options out there, including customized options. Don’t be afraid to make your patio door the stunning centerpiece of your living room or kitchen. Though they’re a beautiful home addition, patio doors can make you feel like you’re on display. Still, you may be hesitant to cover up your brand-new door with curtains. In these instances, try one-way window film that blocks neighbors from seeing inside your home during the day, frosted glass or built-in blinds that rest between the panes of the door. Doors are weaknesses in your home’s structure that allow heat and air conditioning to escape outside, raising your energy bills. 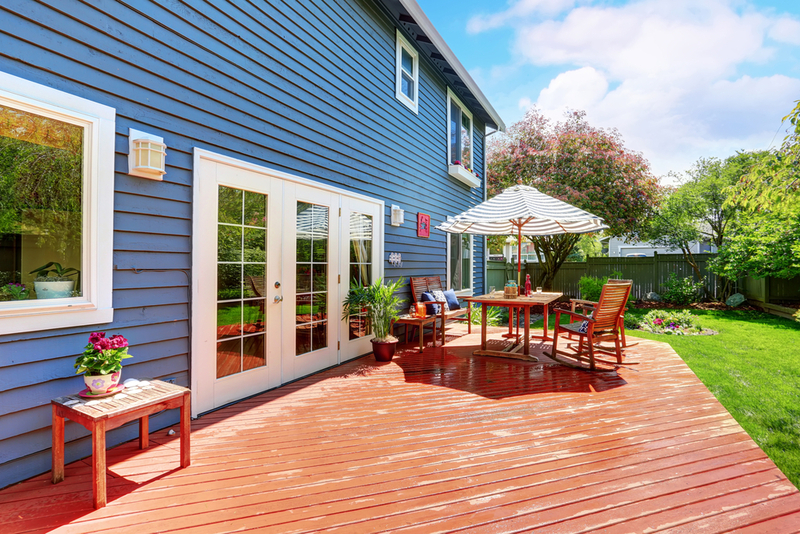 The sunlight that streams through your patio door also heats your home, which forces your air conditioner to work harder than it otherwise would if the door were solid. Choosing the right glass and door material will prevent heating and cooling loss and maintain the temperature of your home by providing a tight seal and reflecting the sun’s rays and infrared radiation. Consider low-E glass and door materials with good ENERGY STAR® ratings. Gravina’s Window Center of Littleton has been outfitting homes in the Denver metro area with high-quality patio doors for 45 years. We are a third-generation, family owned and operated business that cares deeply about each and every one of our customers. Our dedication to customer service and exceptional results even earned us a 2017 Angie’s List Superior Service Award. If you’re ready to embrace your outdoor space, call (303) 794-0490 to schedule your consultation and get your FREE quote today!